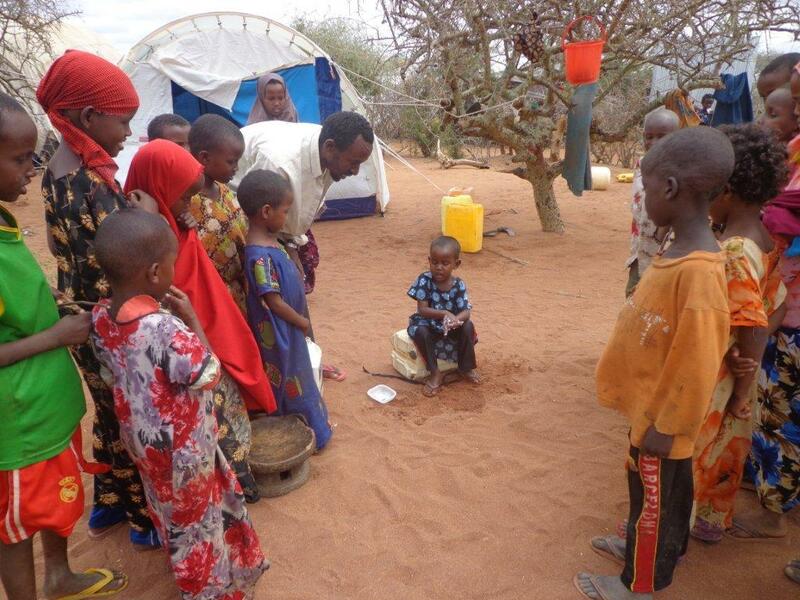 In a refugee camp in northern Kenya, someone is teaching people how to wash their hands properly. The demonstrator lathers the soap, pours water, and rubs her hands together in a circular motion. She works slowly and systematically, making sure her nails are clean too. A crowd of children gathers, watching. Their “teacher” is three years old. The little girl, Farhiya, is probably saving some of her friends’ lives. Hundreds of thousands of Somali refugees like her are crowded into the camp, and disease spreads quickly. In East Africa, thousands of children die of diarrhea. Farhiya learned about good hygiene because of sanitation programmes carried out by CRS (a Caritas member based in the US). ‘’My father, who works for CRS, taught me to wash my hands to remove dirt and germs which might make me sick,” she says. Her father fled a port city in Somalia in September 2011 to escape fighting, bringing his wife and three children to Dadaab camp. The CRS project—in a part of the camp called Kambioos—is helping more than 13,000 refugees. 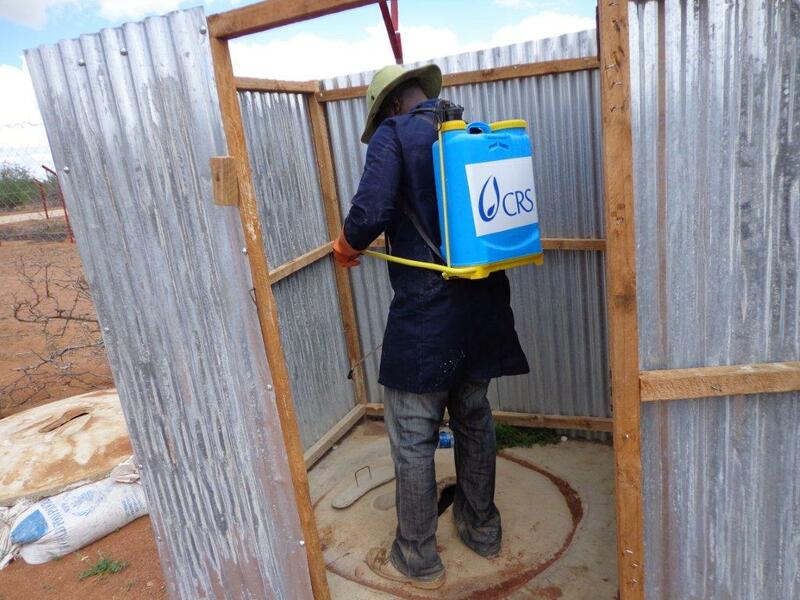 CRS builds latrines and trains the refugees to keep the latrine areas clean. CRS also trains community members to teach others about good hand washing practices. To reinforce the message, CRS is distributing soap and installing hand washing stations. “Hygiene promoters” from a local partner organization called FaIDA (Fafi Integrated Development Agency) are paid a stipend to train their fellow refugees.